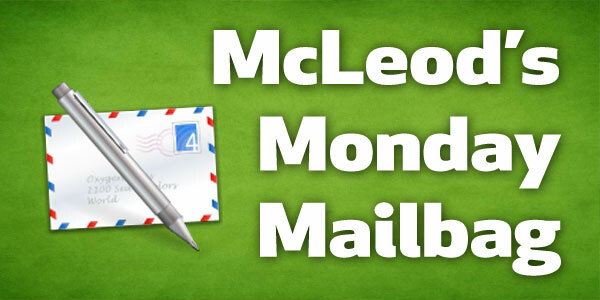 McLeod’s Monday Mailbag:“How Can I Quit My Job?” — Brian McLeod | Direct-Response Copywriter, Expert Marketing Consultant | LoudMac Creative, Inc. So I’m finally at a point where I’m no longer comfortable relying solely on an employer to provide my stability. I’d like to start doing something where I have money coming in from other sources as well. Maybe even grow it to the point where it exceeds my current income working for someone else. I have a special needs child and need to have a flexible schedule and very high earning potential to pay for all of his many needs. I’d also like to take him to places like Disney and be able to afford other experiences like that while he is still somewhat mobile. Anyway, where should I start? I don’t really have products of my own yet. Should I look into affiliate marketing? Solid, straight forward advice Brian, always good to hear the facts, not the fluff. It takes time and a lot of effort to build a steady, recurring income stream or build a business of any kind, online or offline, Appreciate your upbeat honesty, as always, regarding this fact. Looking forward to more of your Monday Mailbag my friend. Hey there, Steve. Great to see you here! Hey Brian, I saw your email and was like .. cool .. Brian has a new show (t m n)!! 🙂 I liked that your advice was from the heart, no shinny object.. no punches pulled, just sound foundation advice.. nice! I definitely think there’s a place for experimenting with marketing toys… new technology, software, strategies, etc. Sometimes that’s how we find hidden profits or really dial in our processes for getting the results we’re after. But when someone comes to me with a serious question about trying to start earning a living wage online, buying stuff is the LAST thing I want to talk about. That conversation needs to be about SELLING stuff. Very, very sound advice Brian. Looking forward to more from the mailbag! Thanks, Matt. Great to see you in the comments.